Yet another "Was I really just there?" moment. 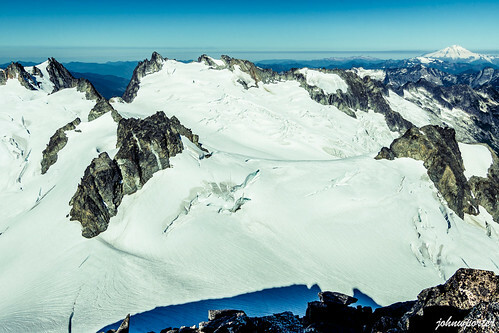 The day before I had summited Dorado Needle in the skyline above McAllister Glacier; true summit being the leftmost point. The extensive Tepeh Towers separated Inspiration Glacier (left) from McAllister. Mount Baker in the right background.